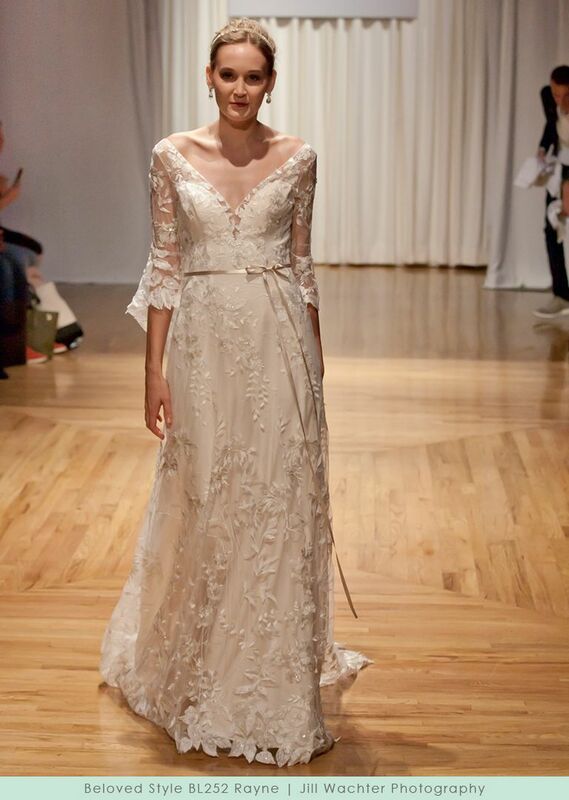 While you may not want rain on your wedding day, our Rayne gown is a different story. 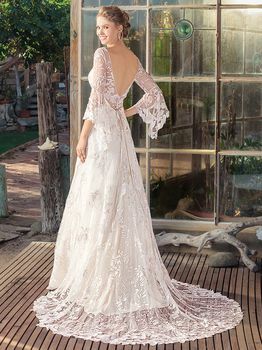 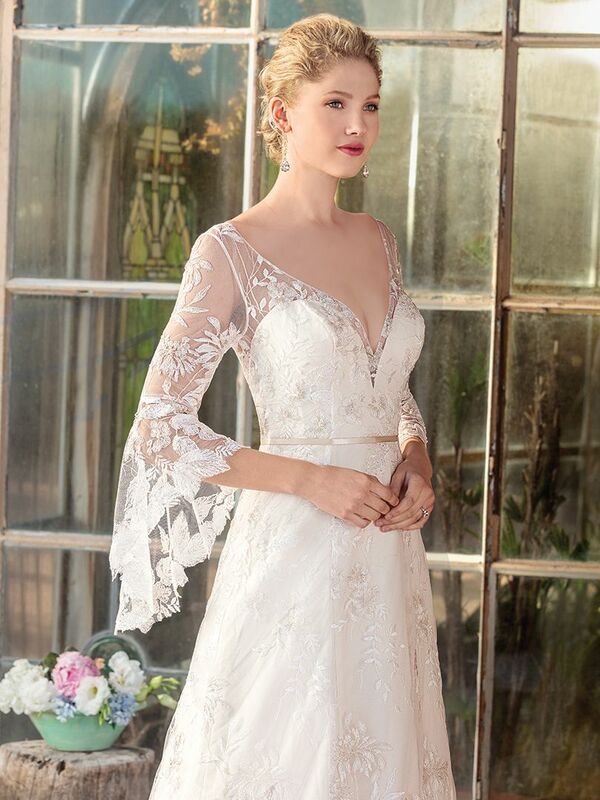 Boho brides will swoon at the three-quarter bell sleeves and exquisite foliage patterned embroidered lace of this bohemian beauty. 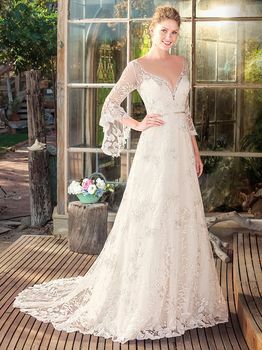 A modern touch is provided by the low plunging illusion V-neckline, all tied together with a ribbon sash at the natural waist.